Solo women travellers are on the rise and having technology to assist, makes life a lot more simpler for a traveller. Here is a list of 5 must-have apps for solo women travellers! Being a solo woman traveller in India can be an exhilarating and frustrating experience in equal parts, even more so if you are in a state that speaks a completely different language, if you are in an area that's known to be unsafe or if you aren't sure of your directions. While language may not be a barrier in many Indian states, it definitely is in some. In such cases, having a handy translation app in hand will help you find exactly what you need. When in a new city, getting lost is practically expected. That's why a handy way-finding app is a necessary addition to your arsenal. Especially one that locates your location in as precise a manner as possible and generates a simple 12-digit numeric code for even the most complex address. Also, this app works offline! So now, you no longer have to worry about where you are, how to pronounce the name of the location or figure out how to communicate it to somebody. LinCodes will do it all for you. We're all familiar with these taxi-on-demand apps that are practically a lifesaver in numerous situations. But if you've not yet downloaded either or both of these apps, then it's high time you did! While public transport is always available, there are high chances that you'll be stuck in a city with unreliable or non-existent transport options, or they may just be unsafe. 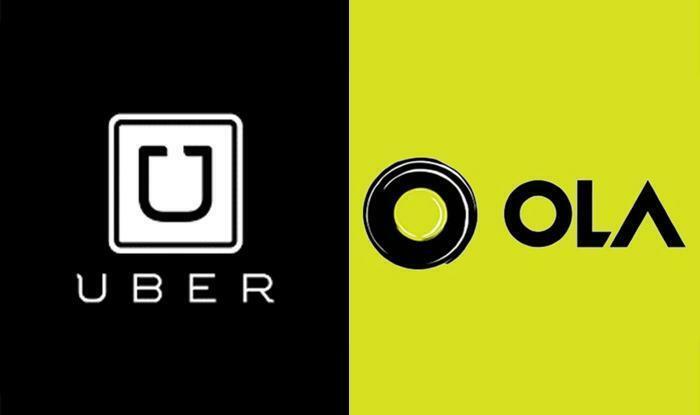 In such a situation, the Uber or Ola apps are practically a necessity. A security app that's linked to the police! Sounds interesting? 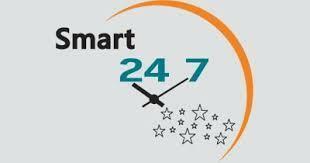 That's the beauty of Smart 24x7! With a special panic button that connects directly to the police or to a pre-designated emergency contact, a feature that allows it to click photos or record audio/video of a particular situation and unique tracking features, this app has everything to keep you safe in a new place. So you've made your travel plans, booked your tickets, planned your itinerary, and booked your hotels. But as it's said, for every plan A, there needs to be a plan B. 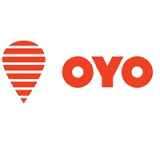 In this case, it's the OYO Rooms app. So if you find yourself stranded in a new city and the room you've booked is suddenly unavailable, this app is exactly what you'll need! Trip38 is an excellent mobile app for your post-booking travel needs like organizing travel itineraries, locating various airport services or finding taxi and so on. Read this review of Trip38 mobile app service. FoodRool is an online food order and delivery platform based out of New Delhi It's one of a kind food ordering app, using which you can order high quality food from 5-star hotels and premium restaurants. This article enlists some of the most reliable and efficient mobile apps for train seat reservation, checking the live PNR status and ordering meals to deliver inside the train. Read this article to know how these apps will make your train travelling experience hassle free. Our global crowdsourcing project Wikiroutes is launching in INDIA. It is free and provides precise public transportation data. I know that India has problems with this type of information. Wikiroutes main idea is to map all public transportation routes with the help of people around the world. Wikiroutes is a community of 5000 editors and 3 million monthly users who keep transportation data up-to-date in 1600 cities worldwide. Available in 12 languages including Hindi. It will take you only 15 minutes to contribute your knowledge of transportation network in your city by creating (drawing) a bus line. Our crowdsourcing editor is so simple that you can add all transport of the city within only 1 week! Please, let us know what you think of Wikiroutes. You can help us improve this project so that local commuters will spend less time in their daily trips. Thank you for your feedback and lets make Wikiroutes as people's project.